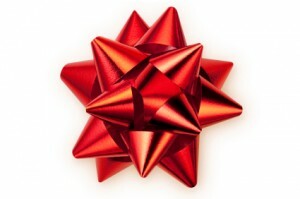 Would you like it if somebody gave you a “gift” this holiday season that wound up costing you more than $30,000? I don’t know about you, but I’d consider that one very expensive “gift” that I’d certainly want to return. Often times, particularly when the gift-giving occurs between boyfriends and girlfriends, “one or both of them later wind up in my office filing bankruptcy,” Gershburg adds. So if you’re thinking about playing Santa in a very big and impressive way this year, you might want to re-consider certain gifts that may leave the gift recipient with debt. In some cases, over-giving can lead to a loss of relationships, as Elizabeth Gilbert, the author of Eat, Pray, Love has found out. That lifetime gym membership may initially seem like a good idea, but who really wants to be tied into an annual contract for life? And are you certain that the person you’re presenting with the membership (or contract) can maintain those payments? Sure, your Aunt Helen enjoys reading People magazine or the latest issue of Better Homes and Garden whenever she can. But that’s usually when she’s in an airport or the doctor’s office and simply trying to pass the time. If you sign her up for a monthly magazine subscription, and make her financially obligated for a new bill she didn’t expect, she might not think you as her favorite niece (or nephew) anymore. I don’t mean to sound like a holiday Scrooge, but one of the reasons I haven’t bought any of these popular video game consoles for my kids (and yes, they’ve asked!) is because I know that these systems will require my husband and I to also purchase accessories, and to keep buying games – over and over – that cost $25 to $50 each. A word to the wise: think twice before “gifting” such items. Buying grandma a basic computer, or even a sophisticated one, to get her connected and into the 21st century is a nice thought. But have you also thought about certain extra costs that go along with this nice “gift”? The cost of monthly Internet access, software, printers, and other hardware can easily set you (or grandma) back many hundreds of dollars. If you find a great deal on sports lesson for a relative or friend, it’s likely to be a one-time thing or a one-year bargain. But what about the ongoing costs – especially the gift recipient gets hooked on that sport? Also, there’s the financial expense of sporting equipment, athletic gear or any athletic clothing that may be required. Fortunately, if you’ve been the “lucky” recipient of a “gift” you truly can’t afford, there are some ways to offload those presents. If you got a leased vehicle, for instance, you can use a service like LeaseTrader.com to find someone else to take over the lease car payments and get yourself removed from the contract. There are even online sites, including Gazelle.com, that let you sell or recycle your electronics. Video gaming consoles or other high-tech toys can also be re-gifted to others who can actually afford to enjoy them on a continuing basis. As for all of you generous gift givers, if you’re at a loss for what to buy someone and you’d like to get a gift that could go up in value as opposed to making someone’s bank account go down in value, here’s an idea. Instead of gifting loved ones with things like electronics, clothing or jewelry, “gift them with the actual company’s stock and give them something they will thank you for years from now too,” says Zaim Hajdari, president of financial management firm, The Hajdari Group, which manages more than $300 million in assets. Hajdari’s stock picks include Starbucks, Home Depot, Tiffany, and McDonald’s. He notes they would all make good holiday gifts, as opposed to the items that these companies sell. Now that’s smart gift-giving – without giving the gift of debt this holiday season.